The varroa mite – beekeeping’s biggest, but tiny, problem. We always enjoy the farm whatever the weather but when you are lucky enough to get the morning we had today, it is wonderful. 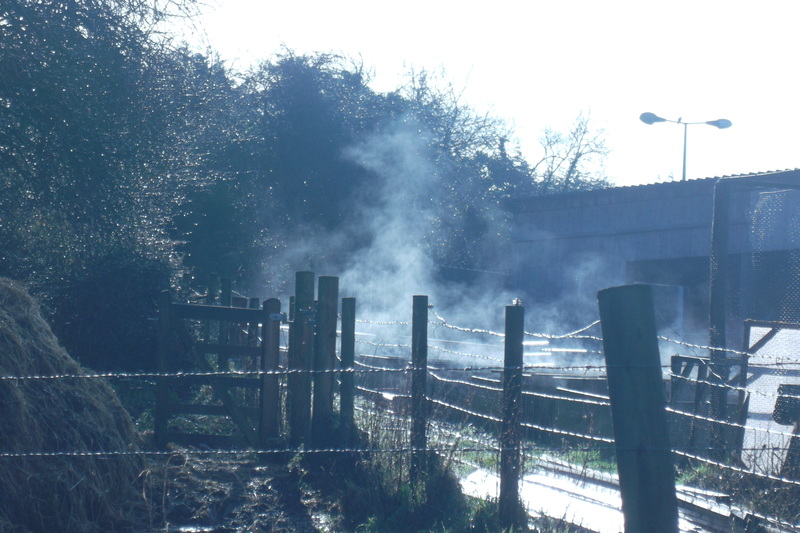 The sun was shining, the birds singing, geese were flying and honking in the distance and steam was rising from the vegetable beds and grass. A heron made its presence known as it flew over, the rabbits were running in the fields together with the pheasants and a buzzard was harassing the crows and magpies in the woodland. Crackle, as always was ready for her food when we arrived and made this known to us straight away, as you can see by the photo. Her piglets are growing fast and are incredibly inquisitive and lively. The Ewes are due to give birth soon, the first being due at the end of half term. We will keep you posted via the blog. We have some new weaners (pigs)at the farm. 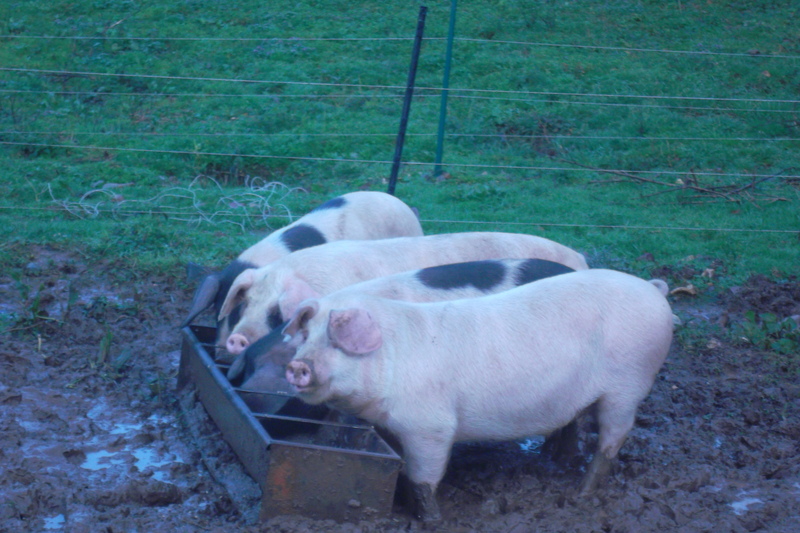 They are Gloucester Old Spot X. Pigs are definitely a favourite with us. We should shortly have a few calves to look after – news will be posted once they have arrived. Finally, we seem to have adopted a cat, or should we say “the cat seems to have adopted us”. She is a great mouser and will regularly bring us presents. Thank you!! 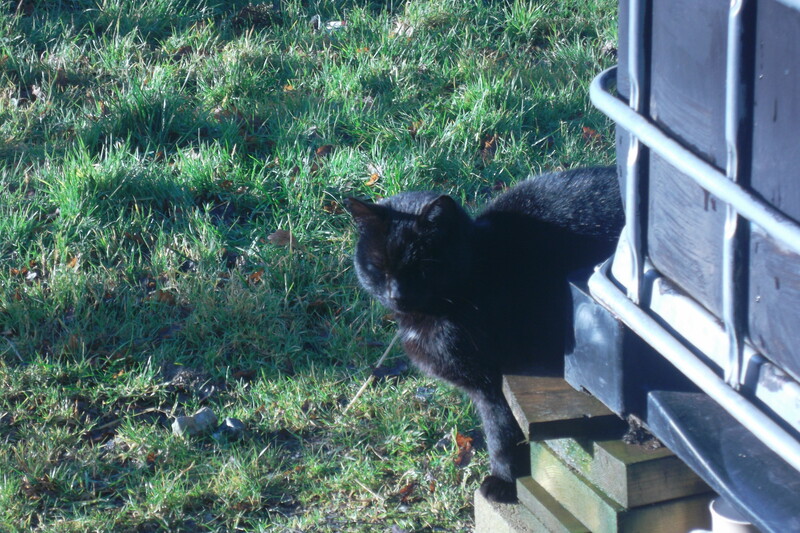 Wednesday: It is inevitable with a farm that you are going to have to deal with rodents and what better way to get rid of them than to have either a very good cat or a member of staff with a wonderful Jack Russell. Rusty has been on form lately and has destroyed a few. I have been witness to this in the past and can confirm that she is very quick and the rat would know very little if anything about it. 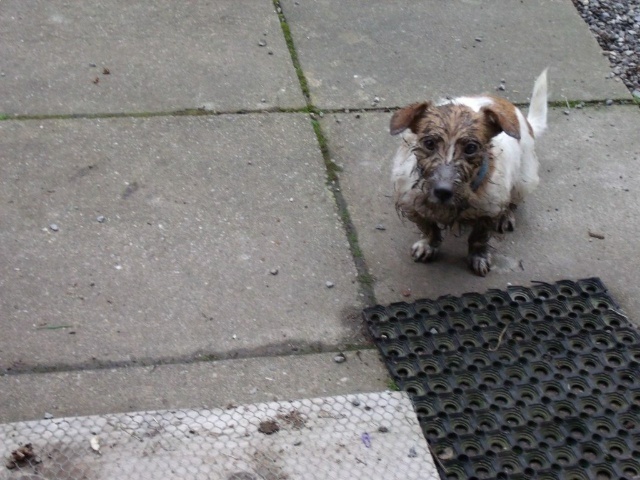 Well done Rusty! When she is not ratting she is curled up in her warm bed in front of the fire or lying on her back waiting for a tummy rub and being a big softy! Thank you to all the volunteers who are helping to keep the farm up and running at weekends and during the school holidays. With a lot due to happen over the next few weeks please keep an eye on the blog. We will post any news as soon as we have it. Saturday 17th March triplets born. One more Ewe due to give birth this weekend and another in two weeks time. Friday 16th March twin lambs born. Twin lambs born today – 26th February 2012. Photos and information will be added shortly. 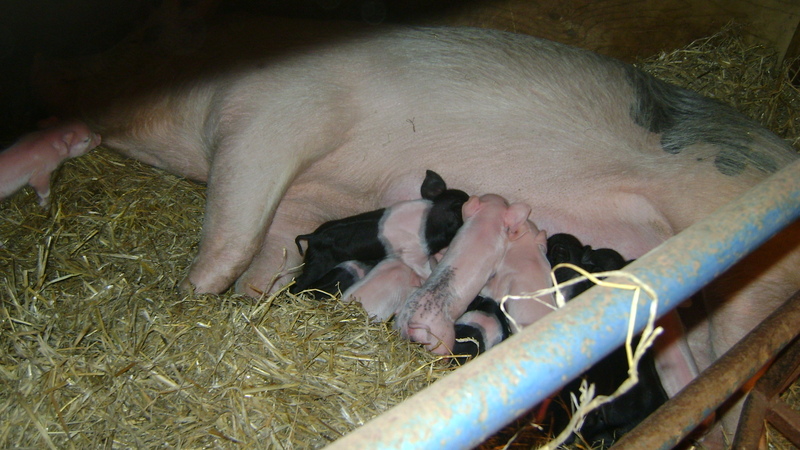 UPDATE: Crackle gave birth to 12 piglets on Sunday 29th January 2012. Please go to the Pig page for more information. 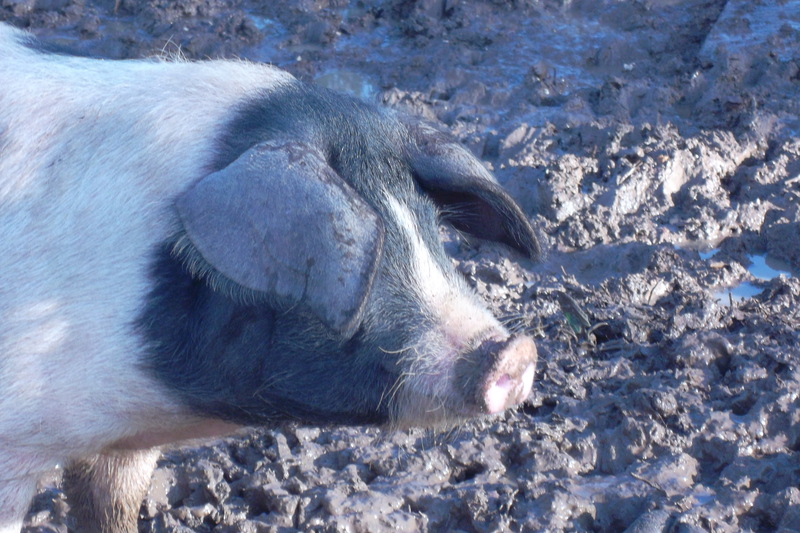 Adult female pig ‘Crackle’ is due to farrow (give birth) around the 25th. The barn pen has been made ready for her and she has been moved into it, but Crackle seems in no hurry to produce, she’s following the rule that pigs seldom farrow early. We will watch her closely over the next few days and add updates here when anything happens. 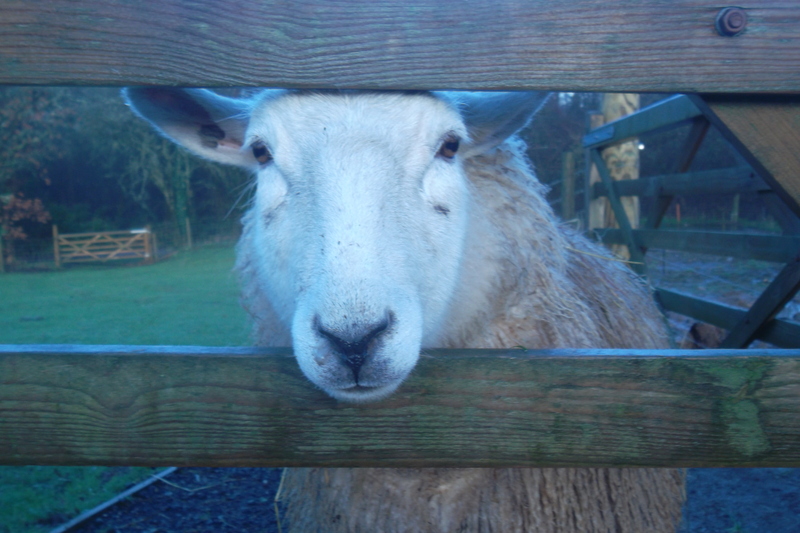 The sheep are back at the farm receiving a winter ration of sheep nuts and hay. They should start to lamb in March. 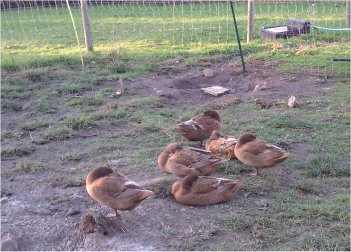 Our six Khaki Campbell ducks have had a good Christmas holiday even enjoying periodic escapes from their run – it’s not true they cannot fly! Triggered by the lengthening days they have started to lay plenty of eggs, we now get four eggs a day from them. And last but not least, the three chicken chicks have grown very fast in the protective environment of the polytunnel and have now been moved outside. With the addition of four new chickens we might end up with fourteen laying hens.